Nxt news – November 2016 (II): Don’t be a magician – be magic! User chevdor has uploaded the latest NRS in a Docker open-source container, with version 1.11.0, and experimental version. Running NRS in a Docker container could be even easier than running it “the normal way”. It’s specially useful when running Nxt on a VPS: No java required, no download, no specific configuration… Besides this, in spite of being a type of “virtual machine”, it does not decrease performance. Lurker10, writer of the articles Beer, Betting and the Nxt Blockchain, Lottery on the Nxt Blockchain in Golang and Programming the Nxt Blockchain for fun and profit, has shared a quick tutorial about how to set up a Nxt node in a Debian 8 – 64 bit system. The fortnightly magazine Asset Servicing Times has published a brief article by Becky Butcher about the Nxt Foundation joining the Hyperledger project, an alliance of which we explained in a previous newsletter that we also elaborated in some other previous articles. Following some recent questions about this subject stated at NxtChat on Slack, we are going to review what options are available in order to have a notification service in our Nxt account. These services will allow us to receive an email alert every time our Nxt accounts have some movements. We can choose, among many options, what transactions we want to be notified about. It supports Alias Operations and Arbitrary Messages. It doesn’t use you passphrase, so there is no security risk. They also promise not to spam you! This tool is developed by the user TeStDrUiF. It allows you to choose many different transactions for a given account to receive an email notification. You can also choose other coins which have a good API. Currently, the service is available for the following coins: BTC, ETH, WAVES, DOGE, NHZ and, of course, NXT. As an NXT developer I get to talk with many people and businesses about their plans of using blockchain. One issue that comes up every time is scalability. It is now clear for everyone in the industry that traditional blockchain architectures like Bitcoin, Ethereum and NXT 1.0 does not scale. A major problem we need to solve in order to scale blockchains, is the ability to separate the token used for securing the network from the operational token used by applications. NXT 2.0 is all about this. Once we are able to separate the forging token from any application specific token we can optimize the blockchain by eventually removing (pruning) transactions which do not affect the forging token balance by only saving a cryptographic proof for their past existence. Achieving this requires a monumental programming effort of separating the static singleton blockchain design of NXT 1.x into parent/child blockchain architecture or even a tree of blockchains. This is our vision for NXT 2.0, Ardor will be the forging token of the parent chain. Janus has made a public announcement this past Thursday on its website about its business plans. Janus has published an interesting and detailed whitepaper and some other documents with terms and conditions. The funding campaign for this business has already begun. The ICO will last until the amount of 7,000 BTC is reached or until the 31st of December, whichever comes first. Five different members of the Nxt Foundation will act as an escrow for this campaign. Nxt is an established blockchain platform with a solid record: it has never been hacked, forked or compromised in any other manner. The Nxt wallet will make the distribution of dividends to token holders fast, easy and transparent. 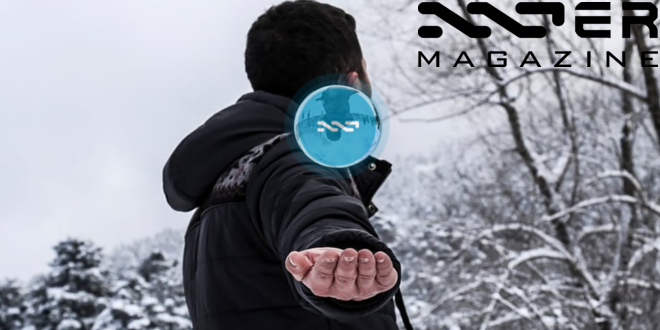 Nxt will implement a business-focussed blockchain next year called Ardor. All Janus tokens will migrate to this platform when it is available (scheduled to launch in Q3 2017) and be among the first users of this exciting new technology. Five percent of the crowdfunding campaign will go to the Nxt Foundation for its escrow service. For more information about the Janus project, we recommend that you visit the links below. We’d like to remind you that some other infographics about Nxt’s features were published some time ago, such as Coin/Asset shuffling and the Alias System.